Are you ready for this? 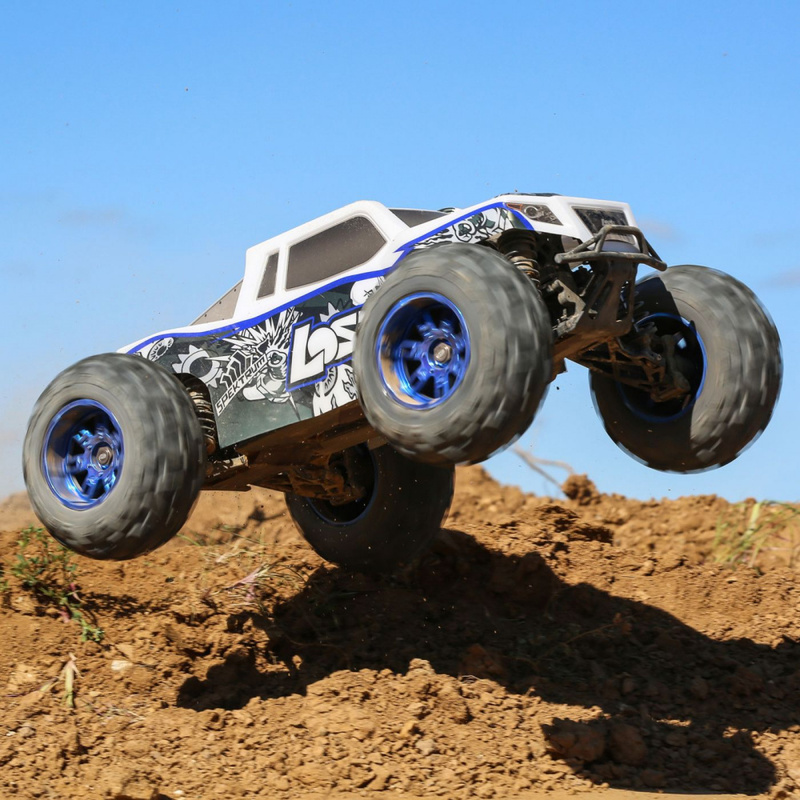 More speed, more power, extreme durability-the Losi® LST 3XL-E™ takes the LST platform to the next level. 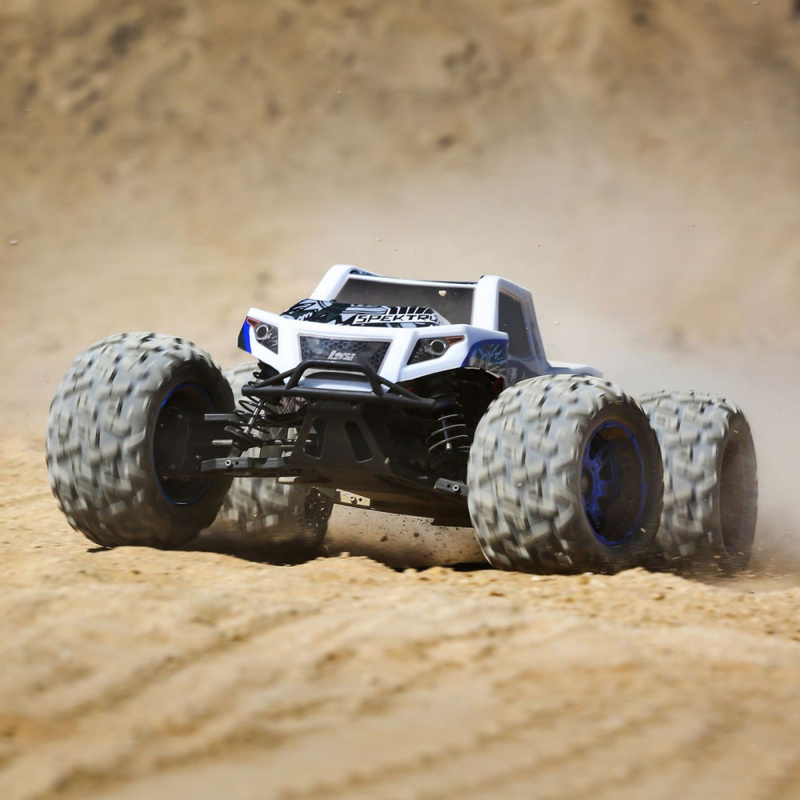 Hit the terrain at speeds of up to 50+ MPH* on 6S power. 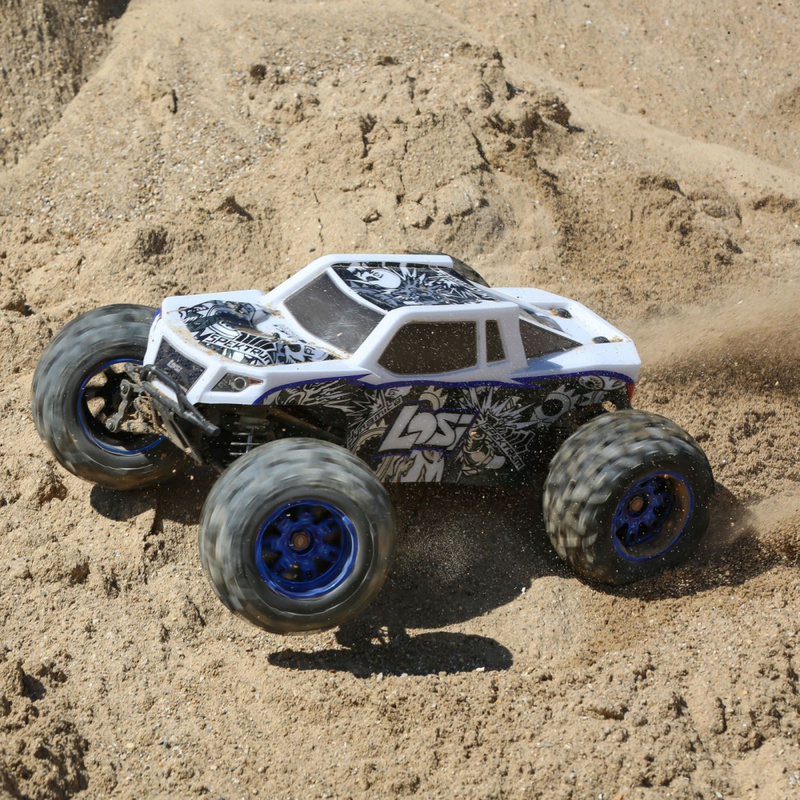 Whether you're on dirt or pavement, this basher will not disappoint. You'll have control at all times thanks to the AVC® system. 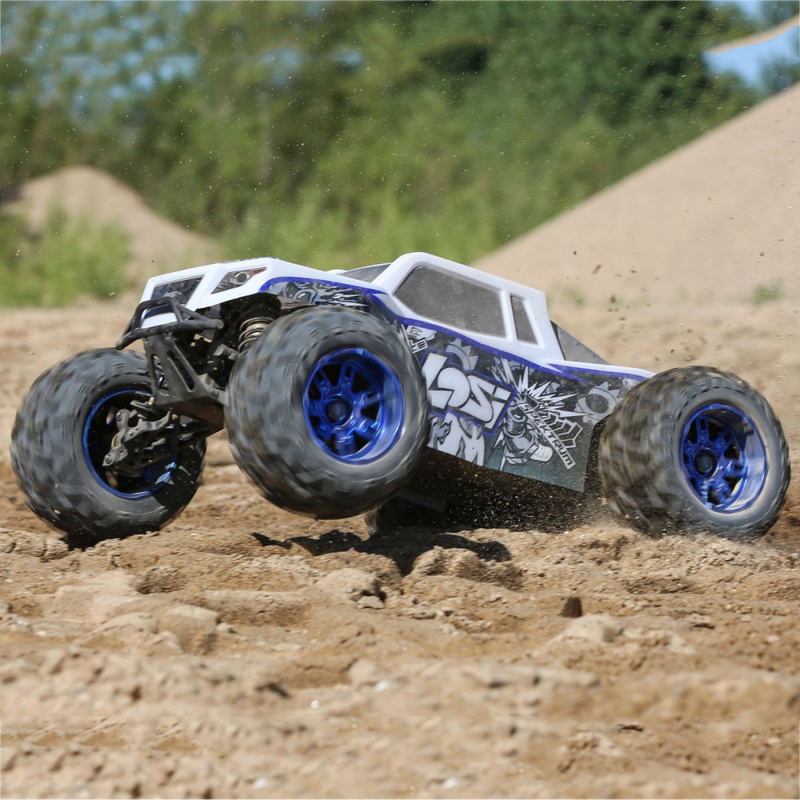 And when it comes to taking abuse, the 3XL-E doesn't flinch-this isn't a monster truck that gets intimidated easily. Bottom line, if you loved the LST XXL-2 E, you will be obsessed with the 3XL-E.
*50+ mph speeds can be achieved with optional gearing. 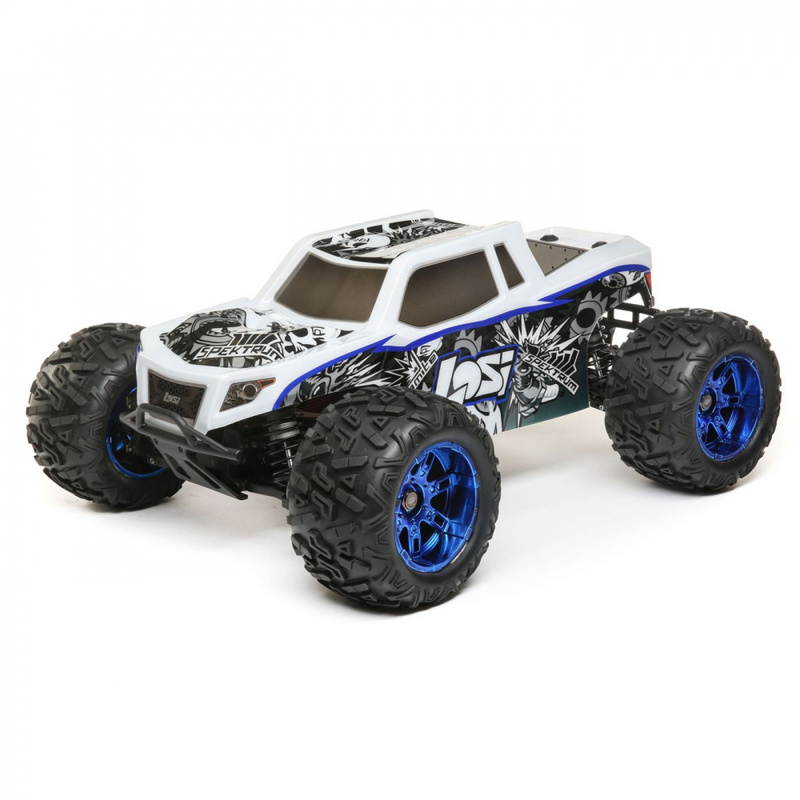 Low center of gravity molded chassis lowers the batteries to provide increased durability, stability and performance. 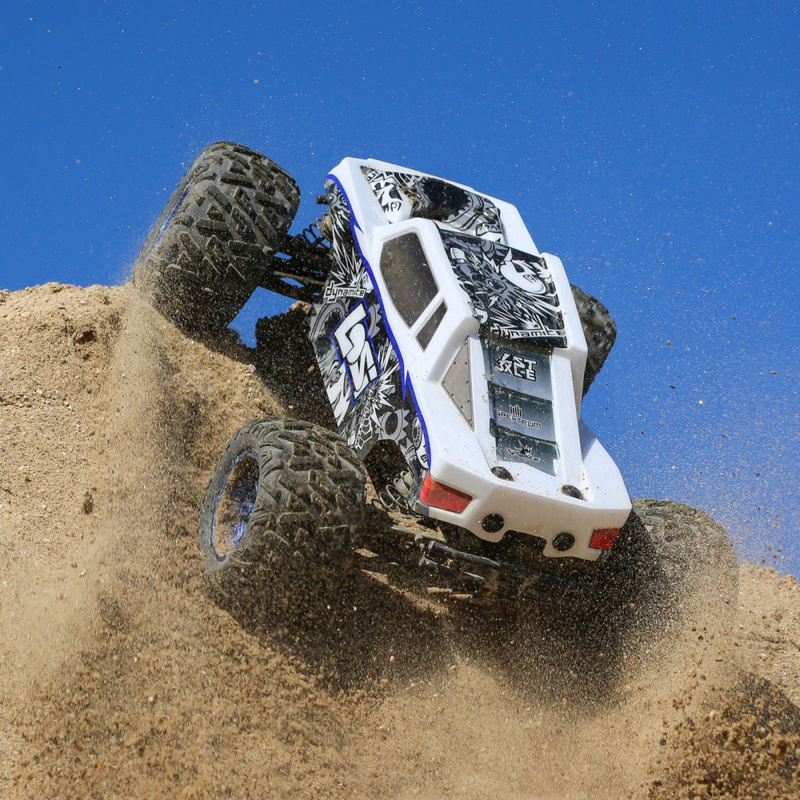 Unlike most monster trucks, the 3XL-E uses a center differential that ensures a proportional delivery of power to all parts of the vehicle, regardless of conditions. 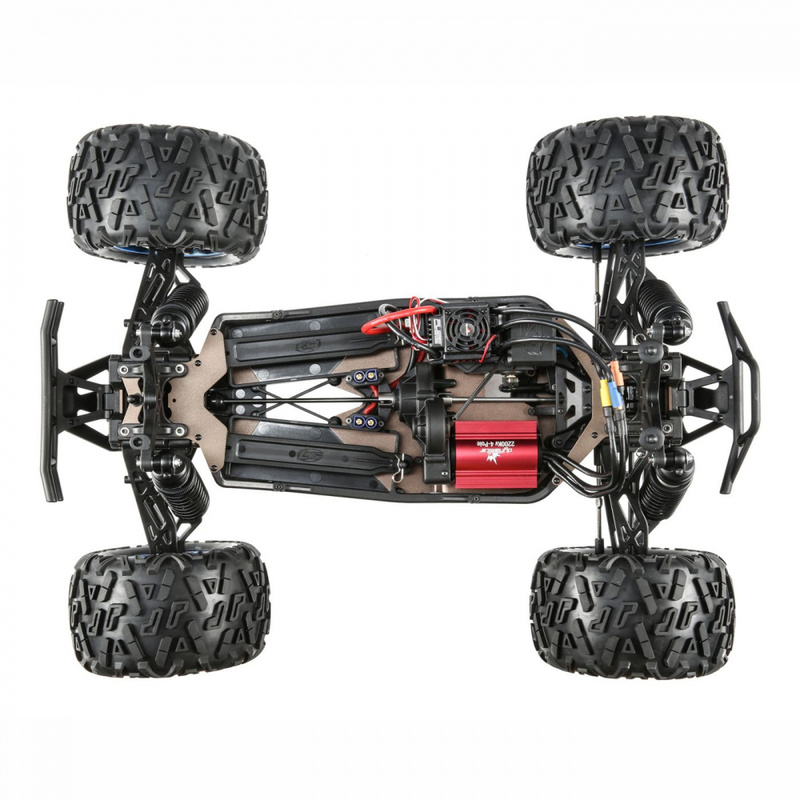 It lets the truck accelerate and stay balanced on any terrain. A spring retaining coupler helps keep the drive pin in place. The Spektrum S904 1/6 Scale WP Digital Servo is a larger, stronger servo for worry-free steering performance. The adjustable servo saver is designed to work with large-scale servos. Removable flip top body mount provides easy access for battery changes and maintenance. Reliable Spektrum radio and the security of Active Vehicle Control. Truck includes SPMSRS6000 receiver with steering priority. You'll never under steer when AVC is activated. The Spektrum DX2E ACTIVE with telemetry lets you measure actual speed via an optional speedometer that plugs into the DX2E ACTIVE. The Spektrum Dashboard Mobile application allows you to view everything from speed, motor or engine temperature, battery voltage and more. Simply snap in the mobile device mount and attach the Spektrum Bluetooth module and view real-time telemetry data like never before. When you're ready to let the brushless motor off the chain, don't hold back. 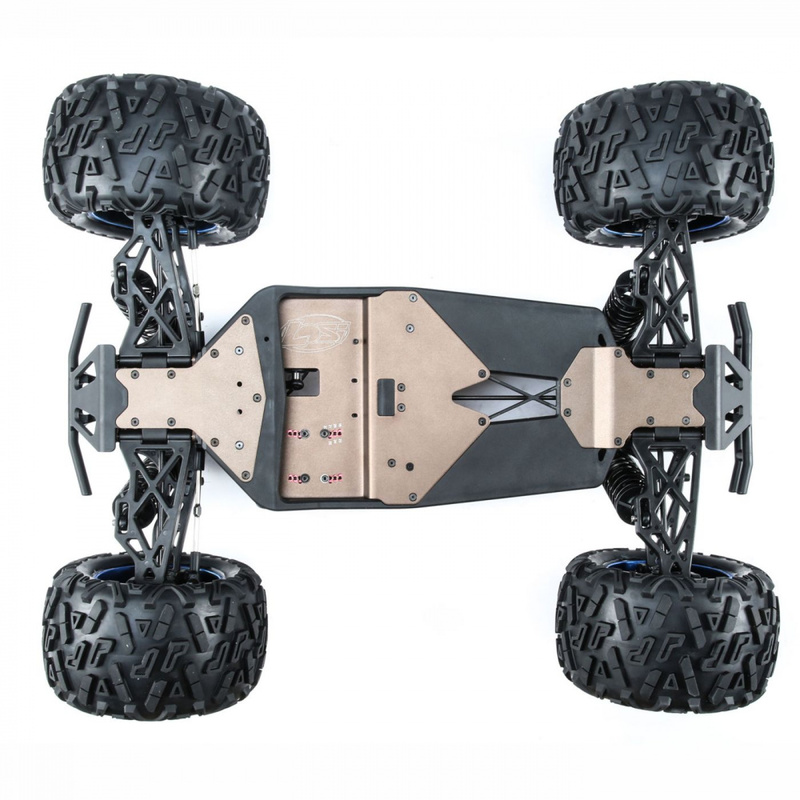 The receiver's built-in AVC (Active Vehicle Control) system will work behind the scenes, making hundreds of tiny throttle and steering adjustments per second, so more of the motor's power is translated into ballistic speed and acceleration instead of just flying dirt. An AVC adjustment knob on the included DX2E ACTIVE transmitter lets you adjust how much traction control the system provides. You can even turn it off. All components are waterproof so you can run the vehicle in wet conditions. The Dynamite® Fuze™ 150A Brushless ESC and Fuze 1/8 4-Pole Brushless 2200Kv Motor run on 4S or 6S power, providing speeds of up to 50+ MPH. Integrated motor cooling fins provide cool temps for longer run times and enhanced performance. Run in wet conditions with waterproof components. Large 5mm diameter shock shafts provide increased durability. Optional wheelie bar included in the box. Standard 17mm wheel hexes allow for more wheel choices.